Should You Put a Manufactured Shed Foundation Kit Under Your Shed? Long before you bolt the first two pieces of your new garden shed together, you need to decide what type of foundation it should be sitting on. Like any other structure, your needs a good strong foundation under it to perform at its best. When it comes to any type of building, the foundation's job is to support the walls just as their job is to support the roof. Nothing is more important to the life of your shed than a good foundation. There are many reasons why you shouldn't just plop your shed on the ground. The lack of a foundation can lead to rot or rust, you will always be fighting the growth of weeds and grass in your shed, and in time you will find the doors no longer function properly. One option for putting a firm foundation under your shed is a foundation kit. Some manufacturers offer foundation kits for their sheds and there are a number of companies that offer their own. These kits offer a firm foundation that can be used to support most standard sized sheds and come in various styles. With some kits, you may need to purchase extra supplies. For example, the foundation kits offered by Arrow require you to buy multiple sheets of plywood to build the floor. Bear in mind you should never place your shed directly on the ground as this can lead to significant damage to the structure. Should I Put a Substrate Down? First, let's talk about what a substrate is. According to the dictionary, a substrate is a “substance or layer that underlies something.” Sounds a bit confusing, doesn't it? In this particular case, what we are talking about it putting something on the ground between it and your shed's foundation. There are two different reasons for putting your shed's foundation on something besides plain dirt. First, a layer of gravel will give any water a way to drain into the soil. Secondly, using gravel will provide much better support for your shed's foundation and its accompanying shed along with everything you plan to put in it. For this particular application, you should be able to use the larger size gravel as you want the spaces between each piece of gravel for drainage purposes. Alternatively, you could use pavers spaced at intervals to provide the necessary support for your foundation. But, if you are going to do so, be sure you use enough to provide adequate support for your foundation and shed. 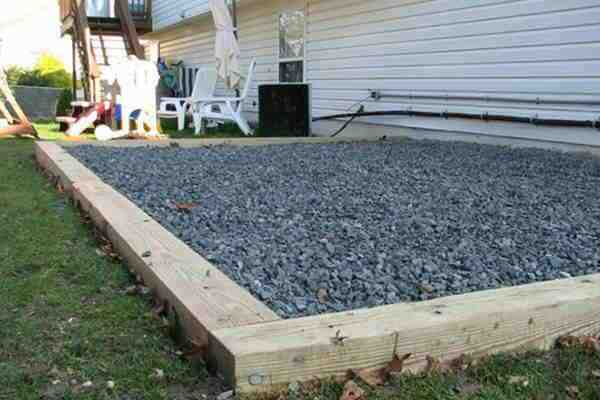 There are several different styles of shed foundation for you to choose from. This particular type of foundation is built as a framework with an outer frame along with inner stringers. The finished product may look a little like a studded wall laying on the ground or it may look like the game board from Celebrity Squares. These foundations can be built from steel or wood and provide outstanding support for your shed. Typically, they are bolted together for extra strength and durability, but some of the cheaper wood kits are nailed together (try to avoid these as they have a limited lifespan). Typically, these are made from timber pieces that can be assembled by two people in a short period of time. They are designed to be staked in place at all four corners using large spikes. Before installing this type of foundation, you should lay a sheet of plastic down and cover it with a layer of pea gravel for better drainage and keep weeds and grass from growing. The good thing about this type of shed foundation is that you can easily move it when the time comes. This type of shed foundation uses a series of lightweight polyethylene grids that can be assembled to match the size of your shed and can be assembled in minutes. 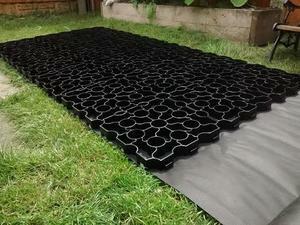 The grids are fully reusable, and can easily be cut to size as needed. These kits are relatively affordable and because they are lightweight can be shipped directly to your home. This material will not rot or rust a major problem with wood and metal foundations. 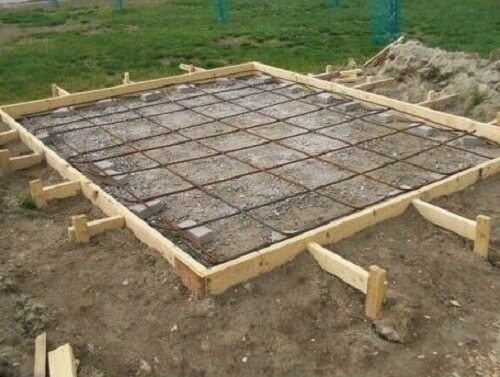 If you plan to use a concrete slab foundation, you have to worry about the composition of the soil where you plan to pour the slab. If your soil has a lot of clay in it, you have to worry about expansion and contraction over time. This will eventually cause your foundation to shift and crack. If you have trees planted near the location you have in mind for your shed, they will eventually reach a point where they start to grow under your slab. In time, the roots will begin to lift your slab, causing it to crack and break. When you use a foundation kit, you don't have to worry about tree roots causing this type of damage. Unless you take the time to build in proper drainage, you may end up with water coming up over the foundation and getting into your shed. In most cases, the average homeowner has no idea what the drainage is like where they plan to put their shed. Drainage is never a problem with a shed foundation kit. 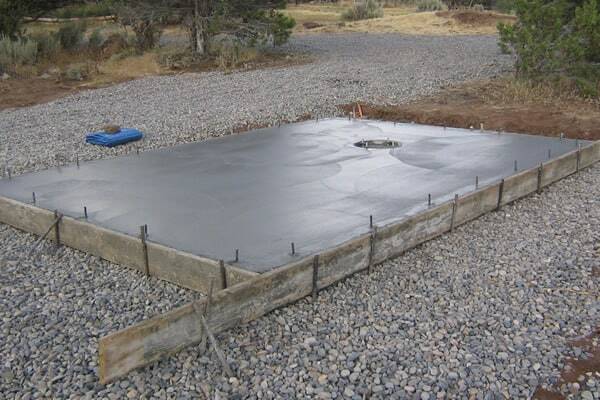 Unless you can pour your own slab, the average shed foundation kit will cost significantly less than having a cement company come to your house to pour your shed foundation. Even if you can pour your own cement, buy the time you pay for all the necessary tools, the framing, the cement, and the cement mixer, you will have spent far more money than the cost of the average foundation kit. Do All Shed Manufacturers Offer Shed Foundation Kits? Not all shed manufacturers offer purpose-built foundation kits for their sheds. Many believe the built-in floors they supply are all that is needed. Here is a look at the more popular brands and whether or not they offer foundation kits. This is only a small sample of the many shed manufacturers on the market, but they are also among the best-selling brands available. As you can see only a couple of the companies offer matching foundations. Many believe that the floor of their sheds is strong enough. But the reality is that even these sheds need to be supported by some form of foundation. But those that do offer foundation kits, offer kits that are perfectly matched and designed for their sheds, thus providing the best possible support. 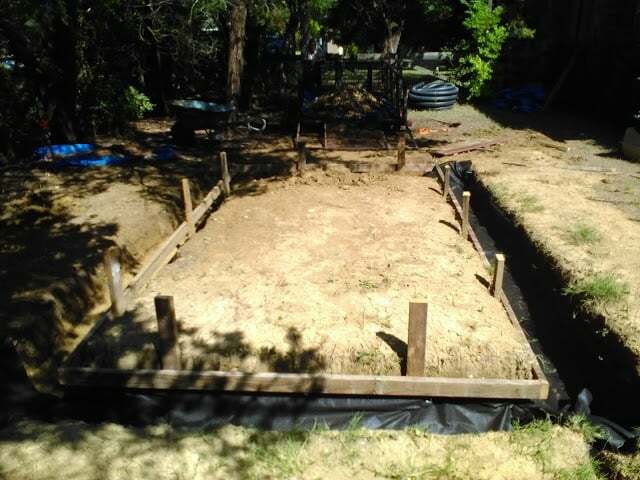 There are several steps involved in the installation of your shed foundation kit. This may be the most important part of setting the foundation for your shed. 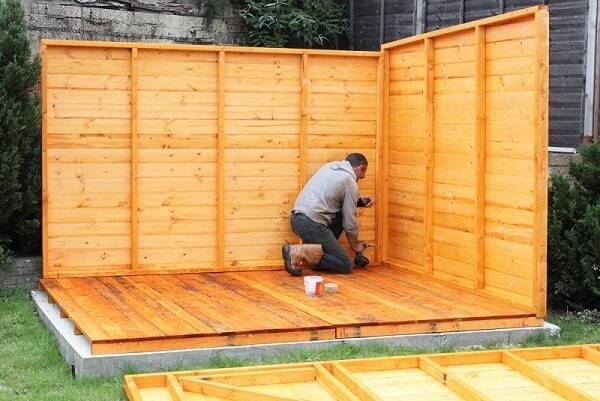 Using the method described above, make sure the ground you plan to put your shed on is perfectly level. Not being level can lead to water intrusion, but it can also put undue stresses on certain areas of your shed, leading to early failure. Once you have leveled the loose soil, you have a couple of choices. You can tamp the soil down to create a firm base and place the foundation directly on the ground, but this is not necessarily your best option as the soil will eventually erode causing your shed to lean. A better plan would be to level the soil, place a layer of landscaping fabric on top of it, and then cover the fabric with a layer of pea gravel. This will provide a much firmer base for your shed foundation kit to sit on, plus you have improved drainage, and won't have to worry about erosion. Assemble your shed foundation kit according to the manufacturer's instructions and lay it in place on your prepared soil. Even if the manufacturer doesn't suggest securing the foundation in place, you should consider doing so. Use several large spikes hammered deep into the ground to secure the foundation firmly in place. By securing your shed's foundation to the ground, your shed is more likely to be able to withstand any high winds the area you live in happen to experience. The last part of the installation is to add any flooring materials the manufacturers suggest. For example, Arrow foundations require the addition of sheets of 3/4-inch pressure treated plywood for flooring, before you put your shed on top of it. Once everything is in place, be sure to recheck the entire foundation for level before you install the shed. As long as you have not installed the shed, you can always make any necessary adjustments. Once you have the weight of the shed to deal with, making any adjustments could be next to impossible. One last thought, be sure to take your time preparing the ground you plan to install your shed on. The success or failure of any building is only as good as the foundation it is built on. Make sure the shed foundation kit you choose is the right size for your shed and is strong enough to support the weight of your shed and everything you plan to put in it. If you need more information why not join a Facebook group or check out the many projects on Pinterest.